She was 11 years old when she disappeared from her home in Moline, in August of 1996. One year ago, Moline police named a "person of interest" in the case, William Smith. He had died before his name was revealed, but they believe others participated in the disappearance and cover-up and are hoping they come forward to help solve the case. 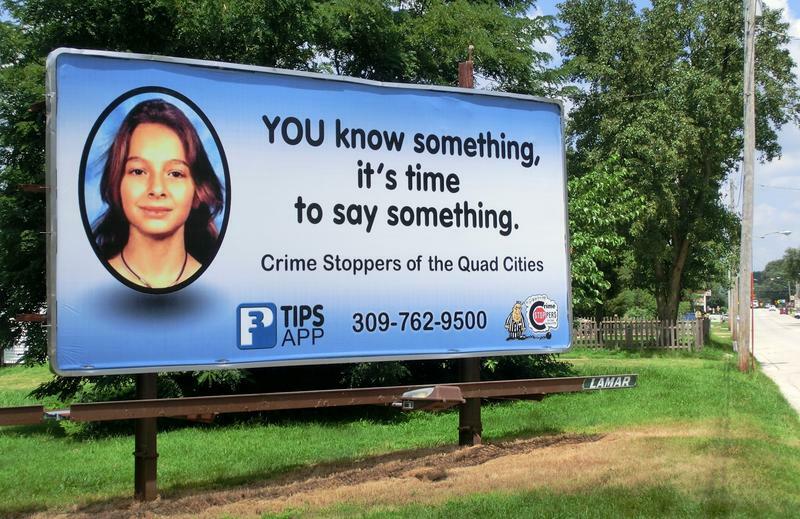 In East Moline, one billboard is on 19th Street at 5th Avenue while the other is along Illinois 5 near Barstow Road.